Coconut Milk & Coconut Oil - Intense skin softeners and skin hydrators to keep your tanning results lasting longer. Hibiscus Extract - Increases skin elasticity to give a stunning natural youth-boost. Evens out skin s tone and texture as well as deeply hydrates. Passion Fruit Extract Rich in Vitamins A & C to protect skin against free radical damage. They say a coconut a day keeps the worries away Get your dose of the tropics with Tanovations #BeachTime ! 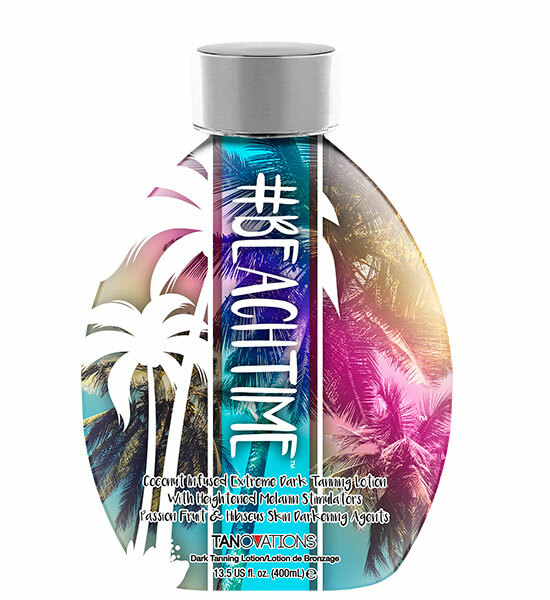 This dark tanning elixir utilizes seaweed, passion fruit & hibiscus to help tighten, tone and perfect your beach body. If you have wanderlust for ocean waves and sunny rays, then get lost in the intoxicating #BeachTime . Buy 3, Get 12 Packets Free!